Do you have a layover or only one day to spend in Chicago? If you have 24 hours in Chicago or less, I have put together the perfect itinerary to make the most of your short visit to my hometown. It is a fairly busy itinerary for a day so feel free to skip a few things if you prefer to explore Chicago at a slower pace. If you are in Chicago for only a day, I recommend staying in or near downtown Chicago so that you can be close to the major attractions. 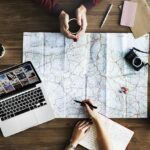 You can research hotels at Expedia to find the best prices on your travel dates. The Skydeck at Willis Tower (formerly known as the Sears Tower and what locals still call it) is the most well known of Chicago’s two tall skyscrapers with public observatories. The Willis Tower used to be the tallest building in the world from 1974 until 1998. Lines for the Skydeck can be very long so I recommend visiting in the morning as soon as it opens to avoid the crowds. You can also pay extra for fastpass admission to skip the line or early bird admission (during the weekend only) to enter before it opens to the public. If you are not scared of heights, you can stand on the Ledge which has glass floor balconies that extend over 4 feet from the Skydeck. 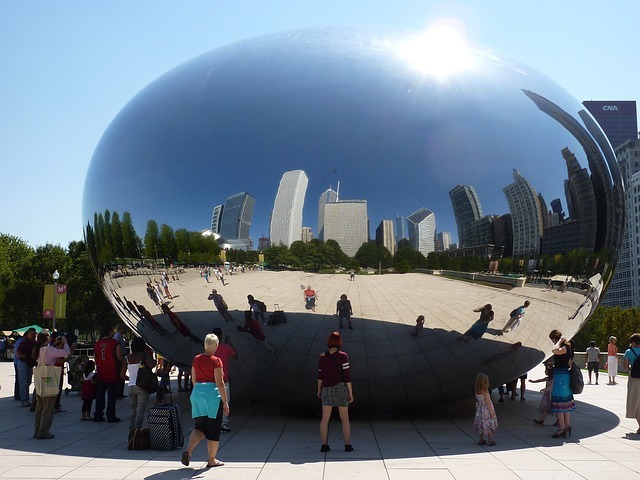 If you have seen any photos of Chicago on instagram or facebook, chances are you are familiar with Cloud Gate (nicknamed The Bean), the famous mirrored sculpture in Millenium Park. Millennium Park is free and it is usually crowded (especially in the summer and on weekends) so to avoid the crowds visit early in the morning. If you are visiting Chicago with children, you might want to also visit Maggie Daley Park, a large public park connected to Millennium Park that has play areas for kids of various ages. Chicago has many great museums which are worth visiting but my top pick is the Art Institute of Chicago conveniently located next to Millennium Park. The Art Institute is one of the oldest and largest art museums in the United States and is frequently found on lists of the top museums in the world. If you are hungry or fancy a drink head to Cindy’s, a restaurant and bar on the rooftop of the Chicago Athletic Association Hotel located near Millennium Park. Make sure to spend some time outside on its famous open-air terrace which offers panoramic instagram worthy views of Millennium Park and Lake Michigan. This is a popular spot due to the amazing views and the wait for the elevator can be long but if you visit around the time it opens (10 am on the weekends and 11 am on weekdays) you can enjoy the great views without the crowds. Chicago has amazing architecture and the best way to see it is by taking an architecture river cruise. There are several companies that offer tours but the best ones are the 90 minutes cruises run by the Chicago Architecture Foundation (CAF). Because the water freezes in the winter, river cruises only operate part of the year (usually between April/May and November). 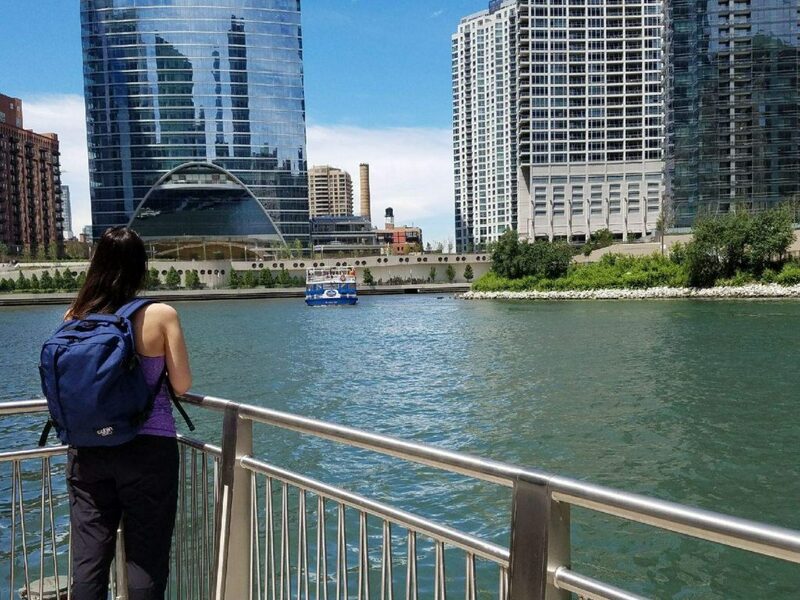 Another way to enjoy the architecture and river is to take a walk along the Chicago Riverwalk, a pedestrian promenade along the river. 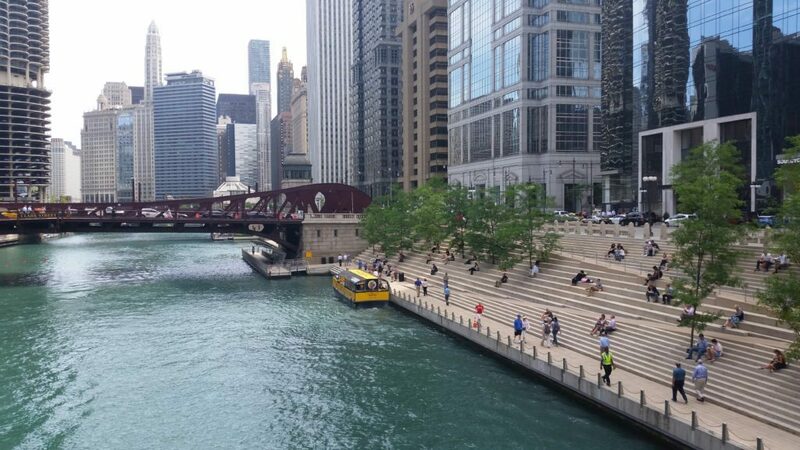 The Riverwalk is one of the best spots in Chicago for people and boat watching and it has restaurants, bars and places to sit along the way. You can also hop on a water taxi here. 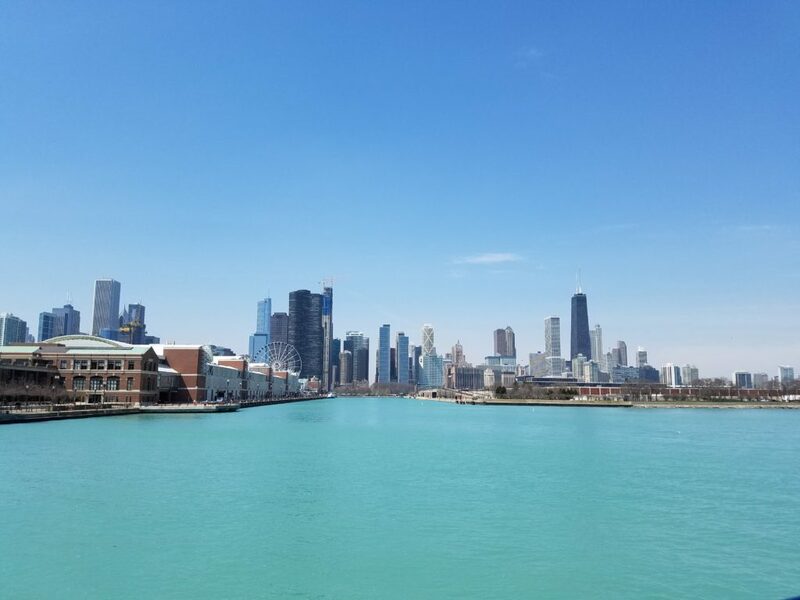 Some locals consider Navy Pier a bit of a tourist trap, but it is a not to missed attraction if you are visiting Chicago with kids. Navy Pier is full of fun things to do including a Ferris wheel, restaurants, shops, an IMAX theatre, the Chicago Children’s Museum, and the Chicago Shakespeare Theater. Navy Pier is also the starting point for various sightseeing cruises and boat rides. If visiting Chicago in the summer, you might want to come back in the evening to see the free fireworks at Navy Pier which occur every Wednesday and Saturday night. If you did not visit the Skydeck at Willis Tower or if you want to see more panoramic views of Chicago, head to 875 North Michigan Avenue (the building formerly known as the John Hancock Center). There is a public observatory on the 94th Floor named 360 CHICAGO (formerly John Hancock Observatory) which tends to be less busy and has shorter lines that the Willis Tower. The 360 Chicago observation deck has TILT, a enclosed moving platform that tilts you out over Michigan Avenue. If you prefer to enjoy the same views over a meal or a drink, 875 North Michigan Avenue has a restaurant on its 95th floor named the The Singapore Room at the 95th and a bar on the 96th floor called The Signature Lounge at the 96th. Chicago is one of the best cities in the world for food and you can find restaurants serving every type of cuisine here. 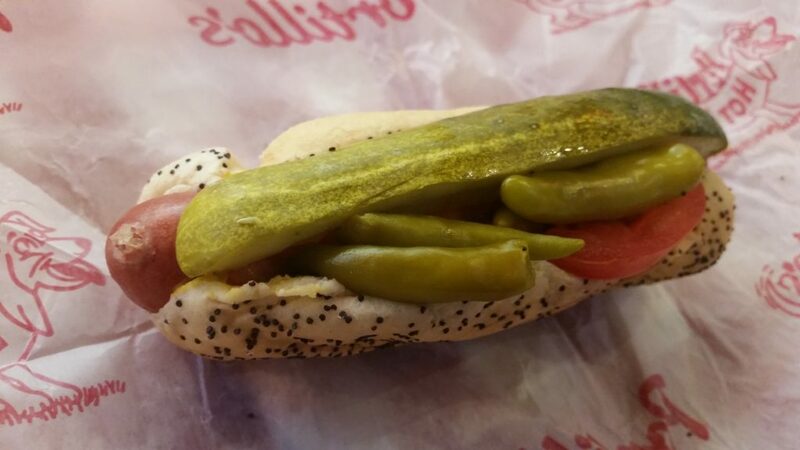 If you are visiting Chicago for the first time you might want to try deep dish pizza and a Chicago-style hot dog (remember, no ketchup allowed) two foods that Chicago is most famous for. There is a lot of debate which restaurant in Chicago serves the best deep dish pizza but you can’t go wrong with either Lou Malnati’s or Giordano’s, two of the most popular choices with several locations in downtown Chicago. Another restaurant that many locals recommend for its deep dish pizza with a caramelized crust is Pequods which is located in Lincoln Park only a short Uber or taxi ride from downtown. 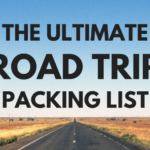 These are my top choices for the best things to do in Chicago if you only have one day. Check out my 48 hours in Chicago itinerary if you have more time or want to read about more things to do in Chicago and check out my guide to the best time to visit Chicago. Have you visited Chicago? If so what would you recommend first time visitors see if they only have a day in Chicago? I LOVE Chicago!! The bean is so fun! There’s also a park in the Lincoln neighborhood called Oz park. There are statues from the Wizard of Oz. So cool! Never been to Chicago but definitely want to go there for The Bean! I think you have compiled a very helpful list for one-dayers given the fact that most of the crowd visiting Chicago is business. Great job! My friend and I woke up every day for the sunrise near Millennium Park. So worth it! It was so cool to have the bean all to ourselves. Next time we’re back, taking the boat tour for sure! Chicago is a beautiful city. My cousin lives there and has been inviting me for the nth time to visit them there. If only I have that opportunity…. I visit Chicago each year and never tire of it! I love the Bean and Millennium Park. Navy Pier is so American for me, especially in summer! Well, I am yet to plan a trip to Chicago. Not sure when it is going to happen, US is just too far away. I was in Chicago last November and absolutely hated it because of the weather. Your photos make me wanna go back and Cindy’s was one thing from my list that I didn’t get to check off either. Awesome recommendations! This is an awesome itinerary to get some good eats and see some the main tourist attractions when in Chicago for just a short time! I’ll definitely head back to Cindy’s next time I’m there. your post made me want to do Chicago RIGHT NOW! It looks amazing and I am saving it for when I plan my trip there. fingers crossed hopefully I get to go next year!